Insurance disputes: who needs the headaches? If you find yourself in a battle with your insurance company, you should know that they have a team of lawyers propped up against you, with the sole purpose of saving money for the insurance company. Your chances of winning any dispute rise exponentially when you have competent, experienced legal help on your side, as well. Unbeknownst to many consumers, insurance companies look for ways to kick you out of their programs if you become too expensive to insure. One method they employ is the use of a secret, systematic examination of your medical records and insurance application materials. What are they looking for? Inconsistencies of any kind that they will use to kick you off of their plan. Even if you inadvertently listed one incorrect date or checked a box incorrectly by accident, they will try to use the discrepancy to claim you are ineligible for coverage. Another way that insurance companies strive to save money is to deny treatment for patients if they feel it is not necessary, or that the prescribed treatment is experimental. If a procedure requires a preapproval, many companies look at the expense associated with the procedure, and bump you into a rescission review. Often, insurance companies insist on a protocol of treatments that must be adhered to in a particular order. 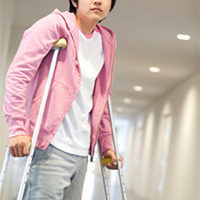 Attempting to skip one of their prescribed steps can result in a refusal to cover your medical expenses. Insurance companies generally engage a medical director to deal with any appeals within the company. When appealing an insurance denial, having a letter from your physical to back up medical documents, along with scientific articles to bolster your case can be helpful. Remember: you are battling an entity who claims the treatment you received, or wish to receive, is unnecessary. You must present a strong case with multiple sources of evidence in order to prove that the desired treatment is, indeed, medically necessary. If you are battling a serious illness, the insurance company may be betting that you are reluctant to take them on, as well. That is precisely the reason you want the experienced insurance law team at the Law Offices of Robert W. Elton on your side. Contact our compassionate, yet aggressive attorneys in Daytona & Ormond Beach today for a free, confidential consultation.